David Teten, CEO of Navon Partners, released a study of how private equity and venture capital funds originate new investments. The study was published in the Winter 2010 issue of the Journal of Private Equity. Teten’s findings offer suggestions of how private equity and venture capital firms can find and execute deals. Among the many suggestions the report makes, the two that stood out were 1) firms should begin to leverage social media and 2) implement a CRM (Customer Relationship Management) application. The study found that 10-15% of the 1,000 active Venture Capitalists own or contribute to a blog. Although previously taboo, openly discussing investment strategies can actually increase a firm’s perceived expertise and trustworthiness. Many investors are now turning to the blogosphere to learn from the experts to make better informed decisions. Teten’s findings also pointed out that many investors use Facebook and LinkedIn as a way to keep in touch with their professional contacts. Although this may seem redundant, but not all PE firms use a CRM application. 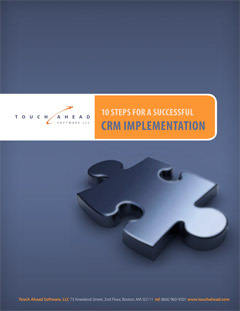 In 2009, EquityTouch surveyed 61 Private Equity funds and found that 37 % were not using a CRM solution. Implementing a CRM allows an organization to better manage its relationships, especially as the deal business is mostly based on relationships. Taking the findings one step further, organizations should implement a CRM that automatically leverages social media for them. Look for a CRM application that has LinkedIn, Twitter, and even Google built right in, so you can strengthen your relationships and better your deal sourcing capabilities. To read more data from the research report, visit http://teten.com/deals. This entry was posted in Blog and tagged CRM, private equity, Private Equity CRM, social media, venture capital, Venture Capital CRM. Bookmark the permalink.